Great stand for artists and performing groups! Strong, lightweight stand with superior versatility, and attractive chrome finish. 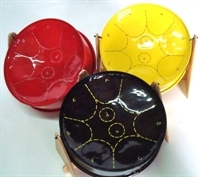 This stand is a great option for two-drum instruments in the frontline range of the orchestra. 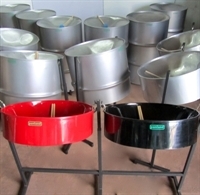 Suitable for the Double Tenor and Double Second steelpan instruments.